For almost 25 years Micronic is dedicated to the design and production of innovative sample storage tubes and accessories. Our knowledgeable and friendly staff offers you expert advice on safeguarding one of your laboratory most valuable assets – the samples it produces and stores. All articles from Micronic B.V.
Micronic, innovator in sample storage solutions, adds two new Screw Cap Recappers to its sample handling equipment line: the Univo Screw Cap Recapper SR006 and SR004. Designed with special features for the storage of fresh frozen tissue samples, Micronic releases the innovative and secure 1.00ml and 3.50ml tubes with external thread. Bristol-Myers Squibb (BMS),an American biopharmaceutical company, uses Micronic TPE push caps and electric (de)capping equipment in their lab to make the handling of DNA samples more efficient and less time-consuming. To address the ever-increasing need for low volume genomics, Micronic launches the 0.30ml tube with external thread that enables miniaturization of reaction volume required in genomic applications. Micronic offers the unique Novitain™ Capping Solution to ensure sample integrity during the short-term storage of sample collection tubes. RadboudUMC, one of the largest and leading Academic Medical Centers in The Netherlands, has reported on its effective use of the Micronic Univo Screw Cap Recapper SR096 to securely seal its valuable DNA samples. Sample preservation and storage solutions designer Micronic released the innovative new 0.75ml and 1.40ml tubes with an external screw thread. Micronic presents the 0.75ml and 1.40ml Amber tinted polypropylene storage tubes that, used in conjunction with a secure screw cap or push cap, ensure the integrity of light sensitive biological samples even over long-term storage periods. The new Micronic Tube Selector is a very user friendly tool as it offers the convenience of single-handed operation and the possibility to manually pick individual tubes from any tube storage rack without the necessity of lifting them. Micronic has launched the Novitain™ Post-Analytical Capping Solution for the secure sealing of sample collection tubes after analytical tests have been conducted. Micronic has expanded its range of high quality 4.00ml sample storage tubes to now include non-coded, alphanumeric and 2D data matrix coded formats. Micronic has introduced a new range of Sample Storage Starter Packs that enable labs to start securely sealing and storing up to 4,000 samples. With a working volume of 1.14ml*, Micronic 1.40ml round bottom tubes are proven to be an industry standard solution for many sample storage applications. For sample storage facilities, each millimetre of freezer space counts. Using the new ergonomic Micronic Univo Screw Cap Recapper SR008 it is possible to cap or decap 8 tubes with screw caps in a single action. Precision manufactured in a certified Class 7 clean room production facility, the new 24-, 48- and 96-tube Ultra-Low Temperature (ULT) rack range from Micronic are based on the automation compatible ANSI / SLAS dimensional footprint. The new Micronic Handheld Wireless Scanner MINI enables users to reliably read 1D and 2D tube and rack codes almost instantly. Micronic has launched the new Univo Manual Capper CM480 - a versatile product designed to seal an entire rack of tubes with push caps in a single action. Micronic has announced the launch of an Automatic Screw Cap DeCapper™ system. Micronic has launched a new externally threaded 3.00ml tube that provides a fully traceable storage solution for tissue samples. Micronic has added a Modular Vertical Freezer Rack to its extensive range of sample storage accessories for biobanking. The Modular Freezer Rack provides a flexible and low cost solution for organising sample storage in a chest freezer. The lightweight modular storage system fits into all chest freezers and is fully compatible with all ANSI / SLAS standard footprint storage racks. To set up the easy-to-use modular system simply click individual rack holders (height: 68mm) together to construct a tower of up to 15 holders..
For biobanks and laboratories looking to securely organise and track their stored samples - the new version 4.903 Track-IT™ Information management system from Micronic enables users to scan tube codes directly into the software. Rapid Automated Scanning of Rack Barcodes Jul 28, 2012 Micronic Europe BV, specialists in traceable sample storage solutions, announces the introduction of the new Tracxer BC210. External Thread Sample Storage Tube Provides Significant Space Savings Jun 6, 2012 Micronic Europe announces that it has secured exclusive worldwide rights to market Octygen - the first externally threaded, 2D coded, 0.50ml screw cap sample storage tube. Uniquely versatile tube storage of light sensitive samples Feb 1, 2011 Micronic Europe has announced a new 1.4ml amber polypropylene storage tube that, used in conjunction with a secure screw cap, ensures the integrity of light sensitive biological samples even over long-term storage periods. Laser Etched Sample Tube Storage Rack Jan 18, 2011 Micronic has introduced a next generation version of its popular Roborack 96-position sample tube storage rack. Traditionally users have used adhesive paper labels on their storage racks to provide sample traceability. However over a period of time, subject to repeated freeze thaw cycles and organic solvents which samples are often dissolved in, paper labels commonly degrade or fall off. Pre-capped Sample Storage Tubes Aug 11, 2010 Pre-capped sample storage tubes from Micronic Europe are manufactured under US Federal standard 209E Class 7 cleanroom conditions to ensure cleanliness and sterility. DNA-free Consumables for Forensic Sample Storage May 27, 2010 Micronic Europe BV has introduced a range of new storage tubes (0.50ml, 0.75ml, 1.10ml and 1.40ml) and capping products that absolutely secure the long term integrity of DNA samples for forensic analysis. Complete Sample Storage Solution For Biobanking & Repositories Apr 22, 2010 Micronic Europe BV has announced it will display its latest products for traceable sample storage at the forthcoming International Society for Biological and Environmental Repositories (ISBER 2010) in Rotterdam, The Netherlands (11th-14th May 2010). 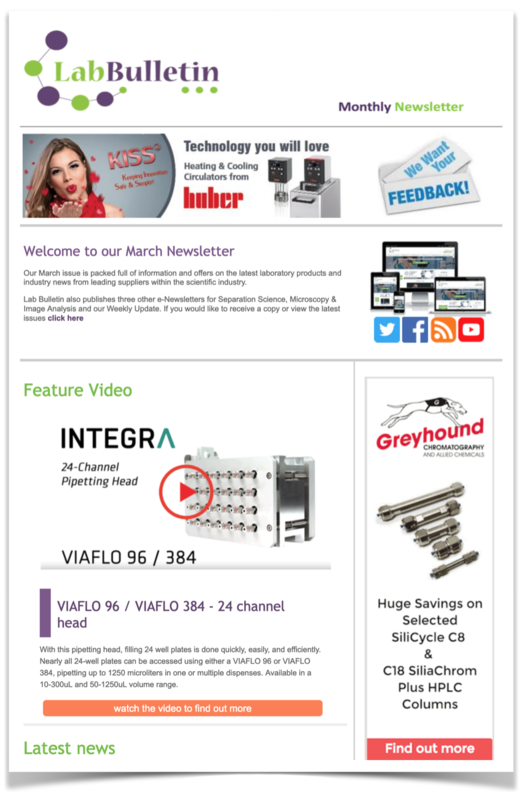 Tube Locking Mechanism Ensures Secure Sample Storage Mar 21, 2010 Snap Tube® from Micronic Europe BV is a proven mechanism that enables sample storage tubes to be securely locked into storage racks. Automated Decapper for Screw Cap Sample Storage Tubes Feb 17, 2010 The ScrewCap DeCapper available from Micronic Europe BV is a compact, automated instrument for the opening and closing of screw-capped tubes (0.5 - 1.4ml). Efficient organisation and tracking of samples Feb 1, 2010 Developed for Micronic - Track-ITTM is a new Sample Management System interfaced to a 2D code reader that allows you to reliably and efficiently organise and track individual samples. Lab Sample Tracking & Management Software Jan 26, 2010 Developed for Micronic - Track-ITTM is a new Sample Management System interfaced to a 2D code reader that allows you to reliably and efficiently organise and track individual samples. Aluminium Tube Decapper Avoids Need to Thaw Samples Dec 9, 2009 For laboratories handling smaller numbers of cryogenically stored samples - the new Aluminium Decapper-8 from Micronic Europe BV enables quick and simple opening of lightly frozen sample storage tubes. Automatic Tube Decapper Accelerates Sample Storage Workflow. 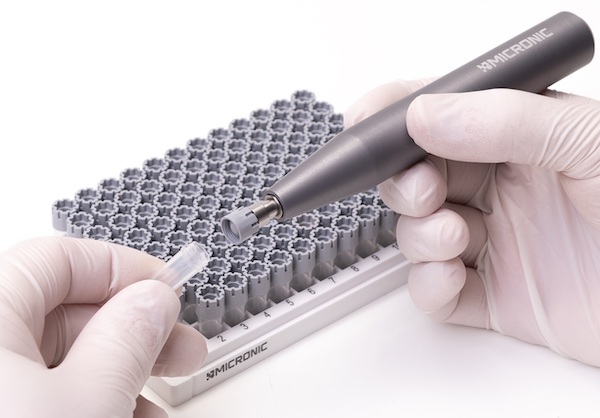 Sep 28, 2009 Micronic Europe BV, specialists in sample storage solutions, has announced a new Automatic Tube Decapper that accelerates the time consuming and tedious process of removing caps from sample storage tubes.